Charlie Brooker's delightfully twisted dark comedy series Black Mirror recently dropped its acclaimed fourth season direct to Netflix, and so what better time to pore over all 19 episodes and sort the wheat from the chaff? Granted, the shockingly consistent quality of Brooker's output means there's very little in the way of duds or filler episodes, so while not everything is a home-run or an awards-winning classic, there are maybe only one or two episodes you might consider skipping when re-watching the entire series. Perhaps the greatest thing about Black Mirror isn't the speculative, terrifying technology featured, but the firm bead Brooker fixes on humanity, ensuring a clear relatability between the current state of society and a potentially horrifying future that could await. 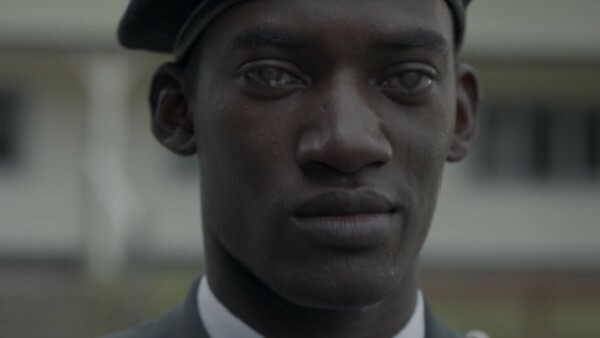 Men Against Fire is probably the most forgettable Black Mirror episode, a post-apocalyptic thriller of sorts, in which a soldier (Malachi Kirby) finds himself part of a unit hunting down so-called "roaches", mutated humans who, inevitably, turn out to be anything but. Though it's well-made and solidly acted like any Black Mirror installment, it all feels a little too familiar, and even the featured tech - an implant called MASS which can manipulate what soldiers perceive as an enemy - isn't that interesting. At an hour in length, it's a bit of a slog to sit through, the message is heavy-handed, and what passes for a twist is almost comically obvious. Watchable, yes, but one you'll probably want to skip on repeat viewings.